(a) The police have been extra-vigilant, especially in checking the public bulletin boards, tear any funeral announcement they see there. (b) Almost all ministers and key persons are banned from travel outside the nation. 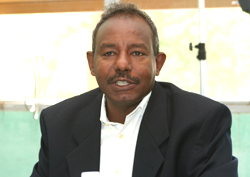 Following the defection of Mr. Kibrom Dafla, the then general manager of Eritrean Airlines, in 2009, the airlines was run by Pakistani management group directed by a Packistani named Mr. Shaki ,from 2010 to 2012. This guy had previously worked in United Arab Emirates, in Dubai, as a simple travel agent. 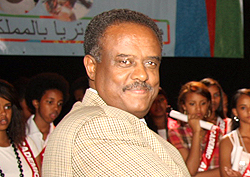 Mr. Shaki and his management group worked as a management team running the Eritrean airlines; and throughout his stay in Eritrea, Mr. Shaki was in direct contact with Isaias Afwerki. The flights to Lahore, Pakistan, where neither trade nor transpiration of nationals exist, created suspicious of about what Isaias is up to. 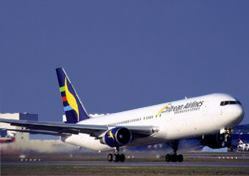 It is feared that the airline was mainly used for smuggling purposes. Speculation of what the cargo could be ranges from gold to armaments. 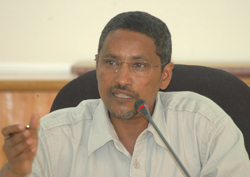 After two years of probable smuggling operation, by end of 2012 Mr. Shaki and his staff left Eritrea for good and now Mr Shaki is residing in LahorIt is believed that Mr Shaki embezzled millions of dollars from the account of the eritrean airlines, and attempts to recover the money has been futile to date. 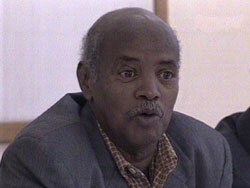 Further efforts to resusicate the airlines under Eritrean management has so far failed to bring any result. 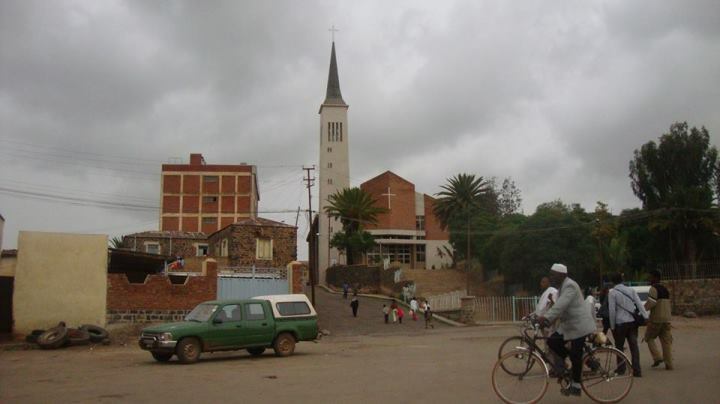 a) Major-general Philipos Weldeyohaness is now in charge of all prisons around Asmara. The prisons in Adiabeto, Maisrwa, Ala, Basit , Adinfas and Eraero are under his control, where so many people are tortured and killed. 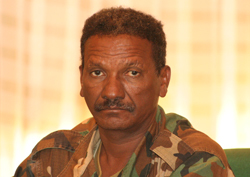 b) Wedi-Memhir (Colonel), the one who conducted the shooting of disabled veterans (sinkulan) at Maihabar in 1993, is now in charge of arming people in entire Eritrea, known as Hizbawi Serawit (popular army), from the ages of 18 up to 75.
d) Colonel Teame Mekele is still in charge of coordinating and arming various terrorist groups from Eritrea, especially from Massawa and Assab. It is to be remembered and he is in the black list of UN Security Council for this very act in the past. e) Wedi-Ftewrari is another top security guy, who was previously stationed in Sudan spying on Eritreans; Now he is stationed in Massawa. He is believed to have taken over the navy position of Karikare, and he is now busy kidnapping and disappearing people. f) Brigadier-general Abraha Kassa, as usual, is putting innocent Eritreans in prison in Asmara in Wenjel-Mirmera. 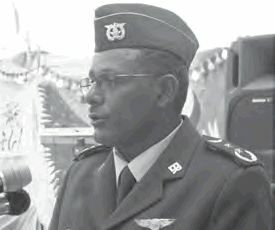 g) Colonel Simon Gebredingel, another known criminal in the security department, is known for killing people secretly by silencer and disposing their bodies in inaccessible places. h) The criminal Brigadier-general Wedi-Libsu, who was previously a judge in the special court (Fuluy Firdibet), has been transferred to Sawa training center. i) Colonel Tesfaldet, the main security man in Isaias’ office, is also in the business of kidnapping and disappearing people. j) Hagos Gebrehiwet (kisha) and Issias’s relation is very strained after the defection of Hagos’ vice who is believed to be in one of the Scandinavian counties. As a result, Eritrea has by now turned into a huge cemetery. People are losing family members not only in Shegeraib Sudan by Rashaida, in the Sinai by Beduin, in Sahara and Libya and in Mediterranean Sea, but also in the hundreds of detention centers in Eritrea. In fact the deaths in these prisons by far outstrips those dying outside the country. a) General Sibhat Efrem has been having a serious migraine problem, and he has been absent from his job on many occasions . b) Major-general Samuel China has been having serious eye problem and is now using heavy eyeglasses. c) Major-general Gerezgiher Wuchu is almost out of job because alcoholism.